Trips to Spain over the River Ebro to FIRST FULLY POLISH BASE. Catfish, carp and zander. This time, we present the only such offer in Poland, because we offer you a trip to the Ebro to OUR POLISH BASE, which we have prepared especially for you. 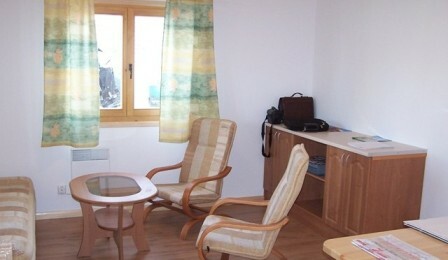 On site you will find all the care of Polish resident - WELCOME! The terms of fishing: hole year, however, caught up at different times, due to the species of fish caught. Catfish, carp - the best fishing season from March to the end of November. Zander - the best fishing season from September to the end of April. Number of participants: from 1 to 15 people. Method of fishing: Catfish natural baits (methods Float and groundwater). 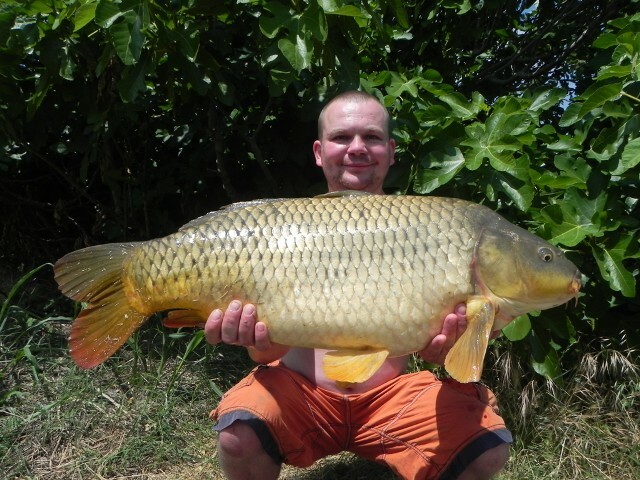 Fishing for Carp (Carp methods and Float). Catfish and znader on spinning and trolling. Deadlines: application at least one month before the scheduled departure. Included in price: 7 days of fishing on the River Ebro, 7 days accommodation in a very comfortable large house 11 persons with air conditioning and a large swimming pool (the house has several bedrooms, living room, full kitchen and two bathrooms and toilets) and cottage for 4 people (cottage with 2 bedrooms, living room, kitchenette, bathroom and toilet), large fishing boats with engines (one boat for 4 persons), fishing licenses for fishing, full of information about the fishery, Polish-Englis-speaking resident care, fishing guide, final cleaning and linen. Accident insurance and medical expenses. The price contains PROFESSIONAL fishing equipment fishing for catfish, carp and zander (except lures and natural bait, which are paid separately). The price contains the seat and carp bed, fish weighing mats, mosquito nets, etc. Not included: access or return to the place (we offer assistance when purchasing tickets) and food. If you travel by plane, you must rent a car at the airport (cost around 120-150 EUR per week) and drive it to our base (accurate map directions will be given at the time of booking deadline by the client). Fuel for the boat to be paid extra according to consumption. Natural baits and other baits paid extra according to use. On-site, valid payment returnable deposit of EUR 100 per person. The deposit is returned at the end of your stay in the database. NEW LOWER PRICE from 230 EUR per person PER WEEK! Reservations: e-mail: mateusz@guidedfishing.pl or tel. +48 503 172 508. 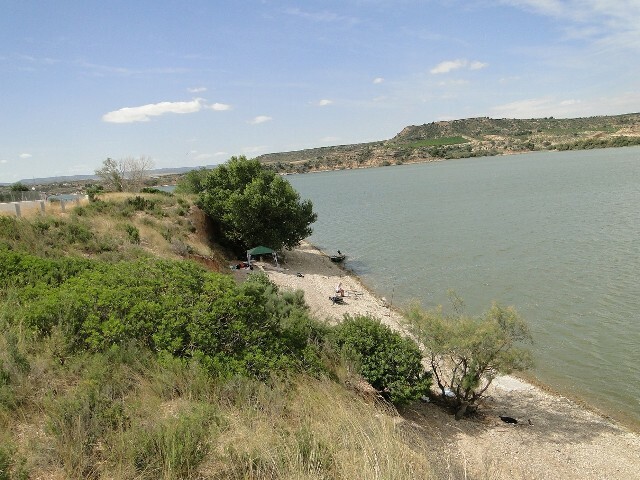 Ebro River - one of the major rivers of Spain. The river flows through the northern part of the country. It has a source in the Cantabrian Mountains in the area Fontibre (province of Cantabria), flows in a southeasterly direction through the Basin of Aragon, later in the form of a breakthrough between tanks Caspe and Tortosa flows through the Coastal Mountains Catalan and delta flows into the Mediterranean Sea (province of Tarragona). 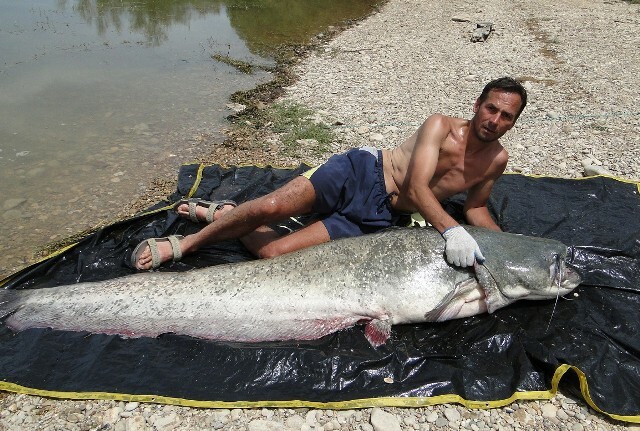 Ebro River is famous for the largest specimens of catfish. Besides inhabited by large quantities of pike-pearch (zander) and carp. Welcome to the town of Playa de Checon - next CASPE to FIRST FULLY POLISH BASE fishing the River Ebro. Comfortable accommodation in a house with air conditioning for 11 people and a smaller cottage for 4 people. The pool. On-site Polish-English-speaking resident. On site we offer boats with engines, designed to catch catfish and other fish species. We offer a full fishing equipment (except lures and natural bait, which are paid separately) to catch catfish, carp and zander. 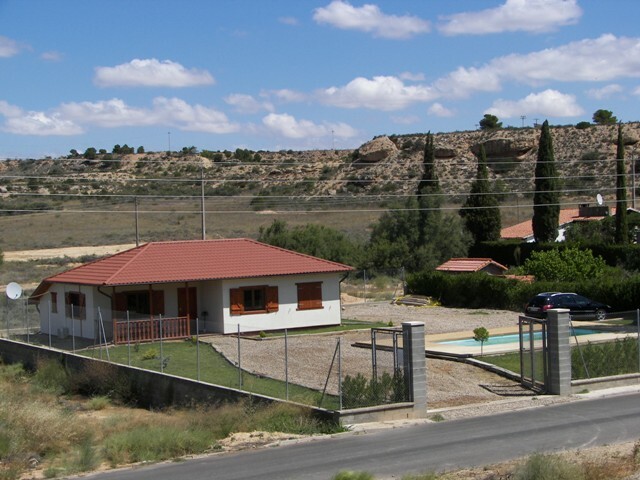 Additional tourist attraction surrounding Caspe are equestrian centers where you can rent a horse. There are areas where you can view wild birds or just the same surrounding views. You can go into town to shop, or even go to a good restaurant or pub. 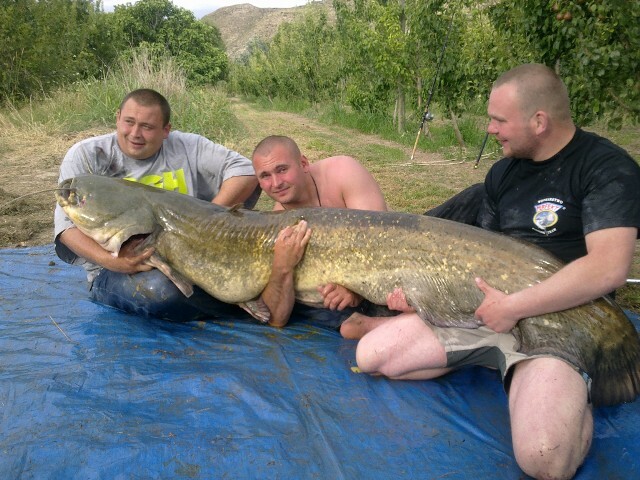 The main and the biggest attraction of Spain are of course large catfish. 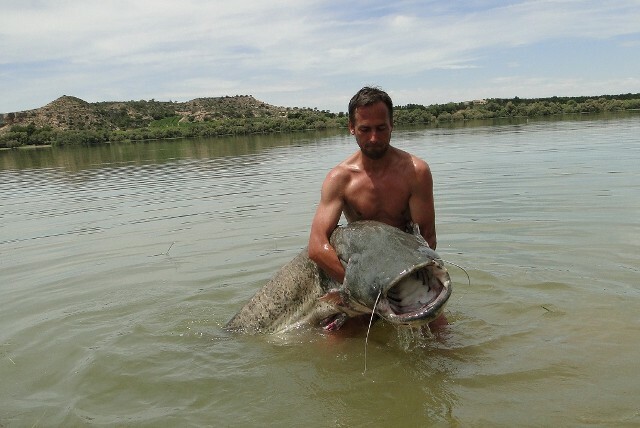 On the Ebro, there is a real chance of capture total weighing 150 kg catfish. Regularly are caught fish 2 meters long and larger. I guess no one goes without saying that the catfish is very strong opponent. 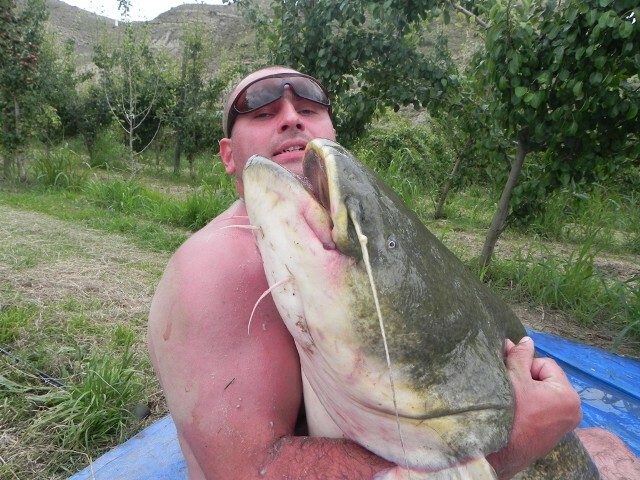 Ebro catfish hunters flock to from all over the world, because it is one of the best fisheries in the World. Best fishing period: from March to the end of November. In addition to catfish, high attraction of the Ebro are zander. In this fishery live huge amount of this predator. In good times you can catch several dozen in one day. Most medium-sized fish are being caught, but they get a real big size. Best fishing period: from September to the end of December. Of course, the undoubted highlight of the Ebro are carp. At Ebro lives a huge amount of them there. They grow to very large sizes. The real chance is to catch a 25 pound carp. In good times caught a lot of carp and most fall specimens above 10 and 15 pounds. Best fishing period: from March to the end of November. Our guests has 5 large boats (one boat for 4 persons) suitable for fishing for catfish and other fish species. Boats are equipped with engines. Boats are equipped with a full PROFESSIONAL fishing equipment fishing for catfish, carp and zander. Only artificial lures and natural buy on the spot. Accommodation in a large and comfortable house (11 seater) located a few hundred meters from the river. The house is fully equipped for sleeping, spending time in it, and do all meals. 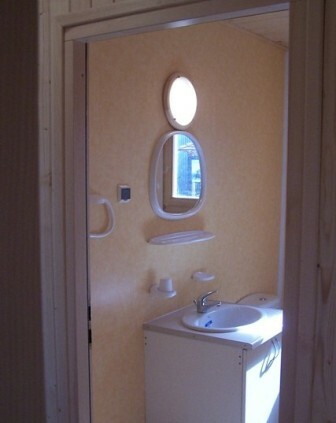 The house consists of 3 bedrooms, living room, fully equipped kitchenette, 2 bathrooms and toilets. The house is, of course, air conditioning and has satellite TV. On the property there is a large swimming pool, available only to our guests. To our guests disposal is also a holiday house for 4 people, which is also located in our property (house with 2 bedrooms, living room, kitchen, bathroom and toilet). Meals (breakfast, lunch and dinner) and drinks on their own. 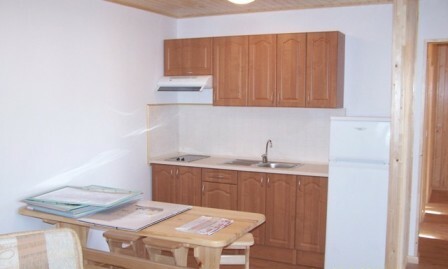 Each meal can be prepared in the accommodation, which is fully equipped. For additional request of our guests, the resident is doing grocery shopping in a nearby village. For an additional charge, you can order meals on site. Restaurants and bars are available in the nearest village. On-site at your disposal is a Polish-English-speaking resident. He also provides natural bait (paid separately). For additional request of guests, the resident is doing grocery shopping. When buying a fishing options with fishing guide, you are all the time under his care. Guide will choose for you the best places to fish. Prepare the appropriate sets and under his guidance you will have the opportunity to catch the biggest specimens. Our guide knows the best areas to fish for the biggest catfish, zander and karp. All the information about the target airports in Spain, the exact place of accommodation or how to get there, will be transferred after signing up for an expedition.